North Korea launches another ballistic missile – Royal Times of Nigeria. 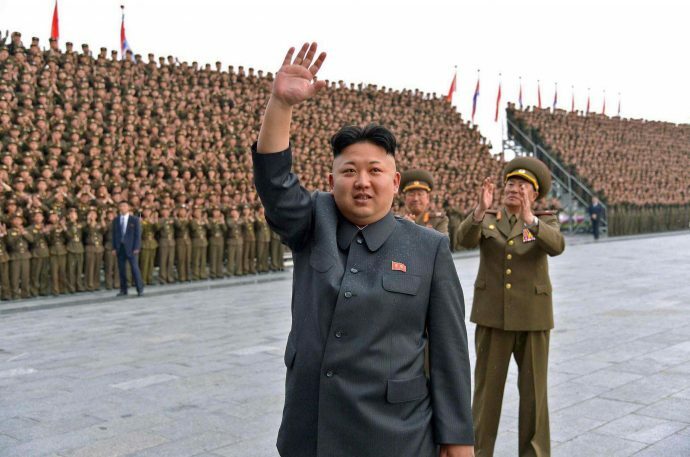 North Korea on Sunday launched its second missile into waters off its east coast. This would be the second missile test within a week. The missile nicknamed “Pukguksong-2” is a land-based version of North Korea’s main submarine-launched missile and uses rocket fuel. According to state news KCNA, the launch was supervised by North Korea’s Supreme leader Kim Jong Un. The report did not state the exact time the missile was fired. According to KCNA, Supreme leader Kim Jong Un said the test showed the missile is ready for deployment and mass production. Spokesman for South Korea’s Joint Chief of Staff, Roh Jae-cheon in a statement said “South Korean and U.S. intelligence authorities assess that North Korea, through its missile launch yesterday, has secured meaningful data for improving the credibility of its missile technology,”. However on Sunday, South Korea, called the launch reckless and irresponsible but it took another approach on Monday stating the launch showed North Korea had made considerable progress in its missile program.